Chris Klapheke from Outdoor Photo Gear joins Jim and Fred for Podcast 111 of The Fotobug! In recent news, Chris weighs in on the recent discussions of the macaque "selfies" and just who is the copyright owner. We also reveal the results of our poll. The new GoPro Hero 4 is to be released soon and we discuss some of the new features. Also, Canon may release the next generation 7D and Nikon is rumored to be announcing a new camera. Chris will be going to Photokino and has promised to return to The Fotobug with all the new goodies released there. There are only a few weeks left to sign up for the Black Hills Shootout in South Dakota. There is still time to sign up for the Maine Fall Colors and Moose workshop and the Slovenia Julian Alps workshop that takes place in October. Go to www.outdoorphotoworkshops.com for these and more! Welcome to podcast number 110! Fred and Jim test out the laser triggering option on the Nerotrigger and attempt to capture falling jello into Fred's mouth. Although we had a small problem with the Nerotrigger, we eventually corrected the issue and were able to proceed with our unusual quest! The Nerotrigger can also trigger on other events and we will be testing additional features in future episodes. In the photo news, Rohn Engh, author and advisor on stock photography, recently passed away, photographer Kris Boorman discovers a viral image isn't always a good thing, top Hollywood producers commit to purchasing film from Kodak, and there may be a new Canon 7d coming! Also, we would like you to take our Facebook poll. 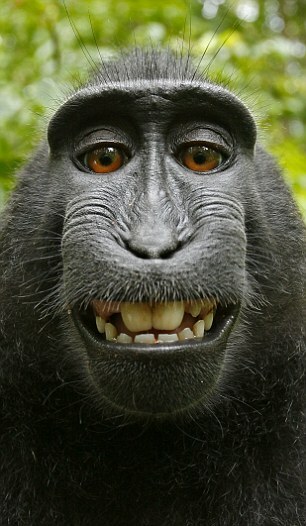 In 2012 a black macaque stole a camera from David Slater and now there is a copyright issue over Wikki Commons. Who owns the copyright, or are the images public domain? Let us know what you think! There is still time to get in on the Maine Fall Colors, Moose and Black bear workshop. Also registration is open for The Black Hills Shootout in South Dakota, but workshops are filling up fast. We also have openings for the Julian Alps fall colors in Slovenia. Go to www.outdoorphotoworkshops.com for these and other workshops! Chris Klapheke will be returning for our next podcast, number 111!